What is GSM Frequency Band?- Frequency ranges are the cellular frequencies designated by the ITU for the operation of GSM mobile phones. In other words, these are signal strength in classification of 2G, 3G, 4g, and 5G in the future, here in the Philippines, we are now using the 4G technology or LTE (long-term evolution) provided by our ISP (Globe, SUN, and Smart), and did you know that LTE maximum down-link peak rates of 300 Mbit/s, and up-link peak rates of 75 Mbit/s, hopefully our ISP will not limit our bandwidth. I will update the list when I found something new! Hi.. do I think smart will run on s4 LTE-Advanve??? They are having a nationwide upgrade right now for LTE, but for LTE advance? Maybe in the future. It won't work. bands have specific uplink and downlink frequencies. SMART band 1 runs on 1900MHz(downlink)/2100Mhz (uplink) while GLOBE band 3 runs on 1800Mhz(dl)/1700MHz(ul). Even if your Google Edition S4 supports band IV (which runs on 2100MHz(ul)/1700MHz(dl), or even if Smart or Globe run on both bands, it may still won't work. 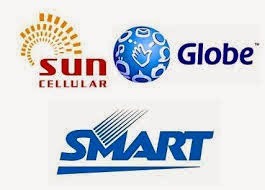 Where did you find the information about Sun's plan to use Smart's LTE? How about if my phone only has a LTE 800mhz? it will not work. it must be a dual band for dl and ul to work which is different for both smart and globe. 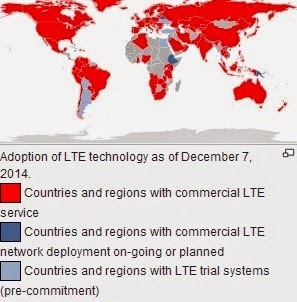 How about my phone only have a LTE 800mhz? Im intrigued about the LTE for SUN. Damn thing cant even give me a decent loading webpage. Not to mention I'm always thrown to 2G at Alabang. After the recent storm I never got to 3g and my best DL speed was 556kbps around Ayala and Makati.. Stupid faking SUN! This is because Smart and Globe limit their network speeds they are so slow even when I am visiting from Australia both Globe and Smart Networks are just a joke. They need a new challenger to come into the Philippines and make these companies cry they are all a joke and need a huge shake up! Ordered this phone from Korea, the VEGA R3, which according to specification eh LTE 800. I don't know if my Smart LTE sim would work. 850L/S model works lte on smart while 850k for globe. where did you buy your gsm repeater here in ksa? Tristan kindly share if where you purchased your gsm repeater somewhere dito sa ksa? i have a S3 LTE korean version (SHV-e210L) what is the best network should i use to access my lte? Meron akong Vega LTE Ex (A820). Ang band nya is LTE 800 lang. Gagana ba ito sa smart and globe? Meron akong Vega LTE EX (A820). Ang LTE Band nya is LTE 800. Gagana ba ito sa smart or globe? unlimited na poh ba yan? Would This phone work in the Philippines with globe? How about asus zenfone 2 laser ZE551KL UNLOCKED (planning to buy from USA). Can i use it here in the philippines? Will a Verizon IPhone 6 plus from the US work with globe or smart? Thank you for any help you guys can assist me. I would very much appreciate it.